dfdx = 1.0 * dfdq # dq/dx = 1. And the multiplication here is the chain rule! Gradients add up at forks. 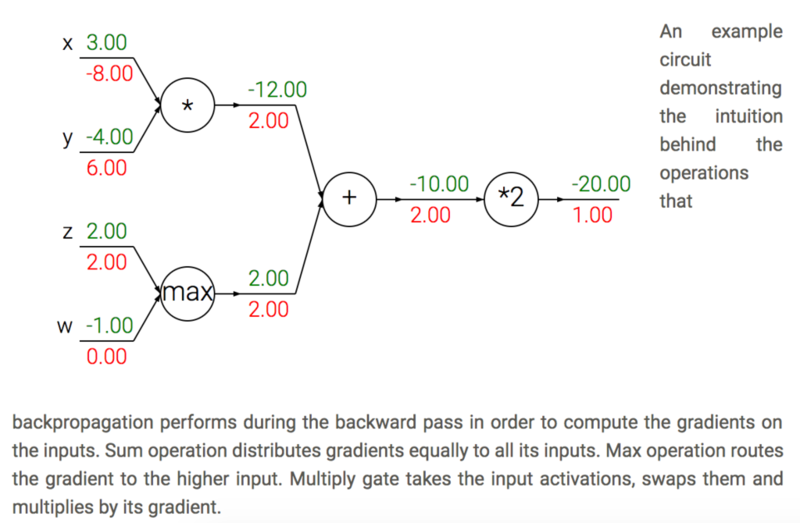 The forward expression involves the variables x,y multiple times, so when we perform backpropagation we must be careful to use += instead of = to accumulate the gradient on these variables (otherwise we would overwrite it). 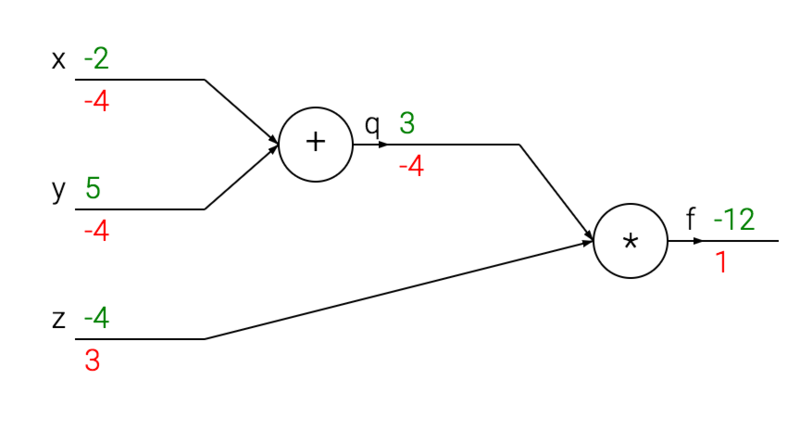 This follows the multivariable chain rule in Calculus, which states that if a variable branches out to different parts of the circuit, then the gradients that flow back to it will add.